Rate this Article How do you maximize production in farm games, in your first 2 to 3 days? Farm games like Farmville 2 and its contemporaries have caused quite a rage when they first became available through Facebook. In addition to being full of fun and challenges, farm simulators also provide an avenue for people to experience what it’s like to be a farmer. Through these games, they get a taste of the tasks, the concerns and the strategies that farmers employ in order to be productive. In other words, you get to be a farmer without having to shell out some cash on agricultural real estate! Not that it’s a bad idea to do so, but you’d need to study farming first and know what you’re expected to do once you become one. With farm simulators, you have the unique opportunity of experiencing the exact same thing for free, and without expending money on perishable commodities that could count as losses. 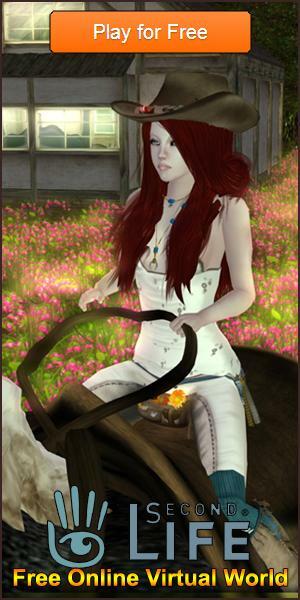 So, do you think you can get your virtual farm to top shape in just 2 to 3 days? Well, here are some tips that you could make use of to attain that goal. You’ve probably heard this first tip before, and may sound repetitive. However, it’s important that you follow through with the quests that the AI gives you. You could consider this as a form of tutorial. Even if you’ve already been playing farm simulators for some time, you could never beat the kind of progression that following the tutorials can give you. Aside from being a tutorial, the quests, after the initial ones that show you the ropes of the game, serve as the game’s “suggestions” to you as to what you can do to grow your farm. These suggestions include building several production facilities that can aid you in growing your periodic income from your farm. Now, second tip - invest any form of income you receive from your farm into expanding it. Expansion means that your production increases, and you get to earn an even bigger income as a result. A growth in your income means that you can make more investments that will further increase your output, so you can have more money to improve your production with. Don’t be enamored by decorative stuff in the first 2 or 3 days of your journey into the farm sim. They’ll come cheap and easy to acquire later on when you’ve grown your farm exponentially by increasing its productive capacity. It’s like doing business in real life. You’ll have to be real frugal, so that you don’t end up using your business’ money for your own expenses. Decorations can wait. Finally, you might want to invite your friends to play the game with you. Or, even better, you can add other people who also play the game to your friends’ list. The social aspect of Facebook farm games allows you to extend your energy by asking your friends to send you some. Having buddies playing the game also makes it possible for you to acquire building materials for your production facilities, and to assist in speeding up the construction of said facility. 3 days is actually a lot of time already for you to work in stabilizing and streamlining your farm’s productive capabilities. With these tips in mind, you could be well on your way to becoming a highly successful and very productive online farmer.